Hosts were amazing. The view and location was perfect for a quick getaway from Athens. Amazing view from the balcony and the swimming pool. The host was also very helpful. 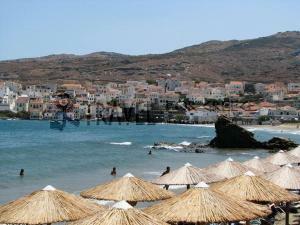 Practical location for accessing both the beaches and the nearby town. Very family-friendly place as far as its structure is concerned. The proprietor's son was very polite and helpful in all aspects of my stay. Hosts extremely helpful, it only took a phone call on our arrival and they came to fetch us, and took us back to the bus station for the return journey. Lovely people. We were given upgraded rooms -presumably as it was quiet. We went late September/October so end of season. The location is superb, views excellent. There is a steep slope to the property but we soon got used to that but you do need to be able to walk that short distance. The pool was a nice alternative for a dip, very clean too. Restaurants are a ten minute walk away, there is a small supermarket at the bottom of the slope sufficient to get most things (excellent fruit and veg). Nice walks locally, long and short. Bus station handy to get elsewhere. Would be happy to go back. +Good quiet location, away from the road. +Clean facilities. +Good views. +Room includes a small kitchen. The pool area is aweome. The view is amazing from the balcony and the pool. Close to the beach. Quiet, clean, big room. Lock in a great price for Vassiliki Studios – rated 8.4 by recent guests! 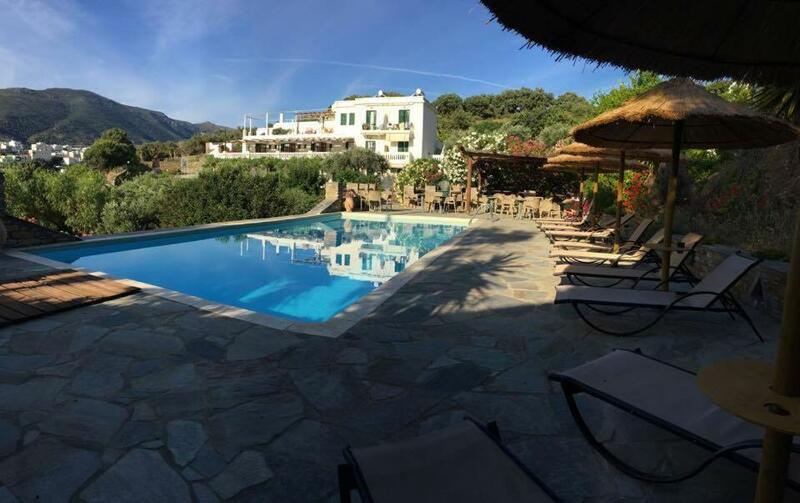 One of our top picks in Andros.Boasting a seasonal outdoor pool, Vassiliki Studios is only 150 feet from the sandy Neimporio Beach. 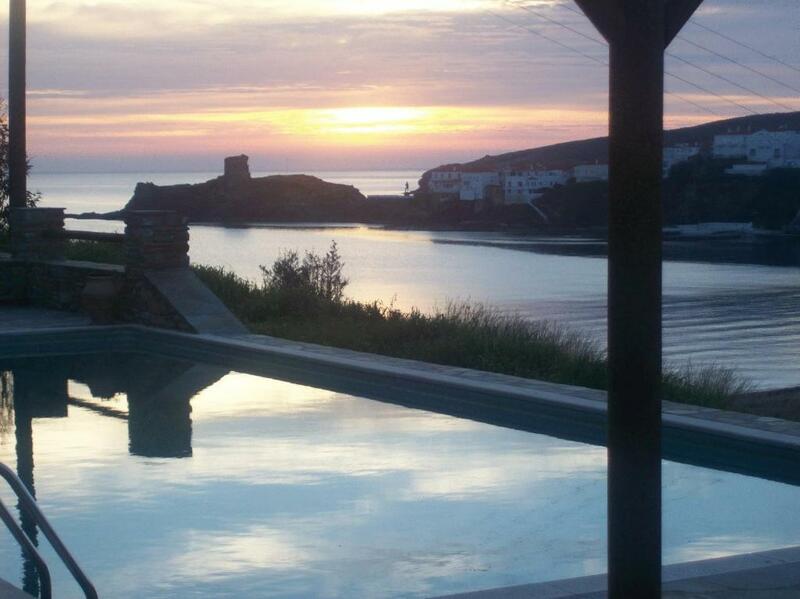 It features self-catering accommodations with Aegean Sea and Andros Town views from their balcony. Free WiFi is available in all areas. All air-conditioned units at Vassiliki include a kitchenette with fridge, cooking hobs and microwave. A flat-screen, satellite TV is featured in each. The private bathroom comes with a shower and hairdryer. 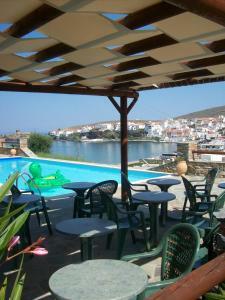 Guests can relax in the furnished sun terrace. A playground is also available for younger guests. 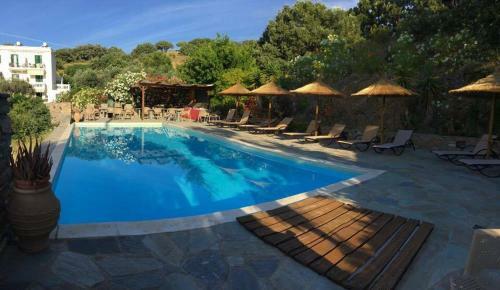 Vassiliki Studios is only 150 feet from restaurants, bars and shops. The monastery of Agia Marina is 0.9 mi away. Private public parking is available throughout. 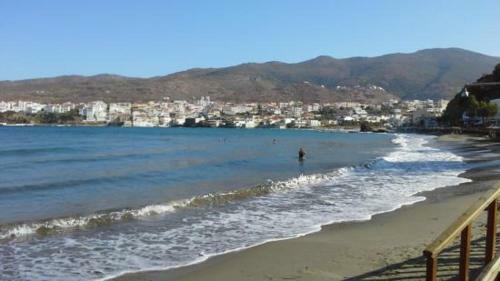 Andros Town can be reached within 1,650 feet. Gavrio Port is 22 mi away. 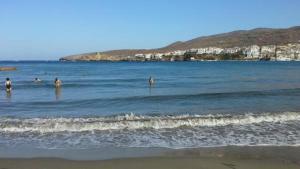 This is our guests' favorite part of Andros, according to independent reviews. 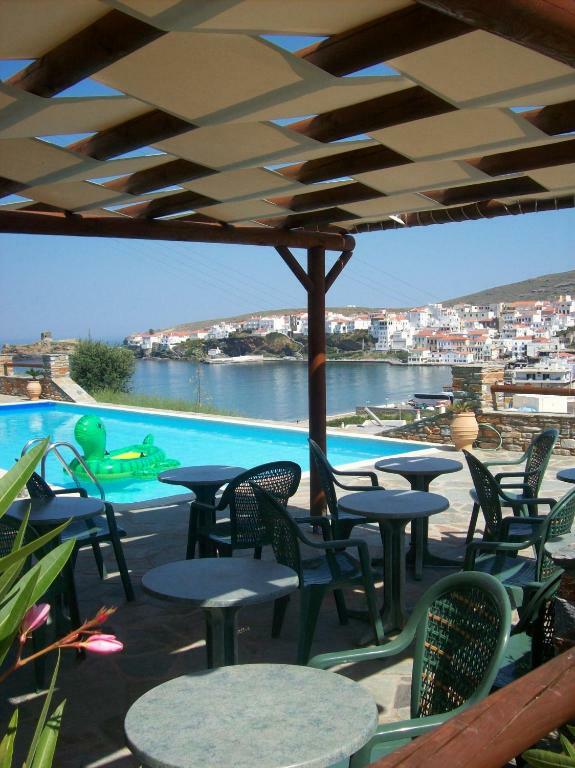 뀐 Located in the top-rated area in Andros, this property has an excellent location score of 9.1! When would you like to stay at Vassiliki Studios? Enjoying Aegean Sea and Andros Town views from its balcony, this studio comes with a well-equipped kitchenette and a flat-screen, satellite TV. A hairdryer and shower can be found in the bathroom. 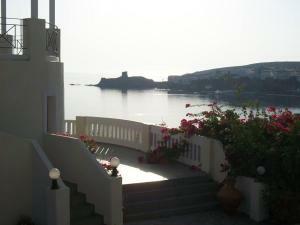 Enjoying Aegean Sea and Andros Town views from its balcony, this apartment comes with a well-equipped kitchenette and a flat-screen, satellite TV. A hairdryer and shower can be found in the bathroom. This studio features air conditioning, view and kitchenette. This studio has air conditioning, private entrance and kitchenware. This studio features a kitchenette, kitchenware and tile/marble floor. House Rules Vassiliki Studios takes special requests – add in the next step! Vassiliki Studios accepts these cards and reserves the right to temporarily hold an amount prior to arrival. Please note that the outdoor pool is open from 1 May up to 31 October and is available at no extra charge. Please note that cleaning and change of sheets and towels are done every 2 days. Guests are responsible for cleaning the kitchen and kitchenware. Please note that transport service from the port can be arranged upon request. You can use the Special Requests box when booking, or contact the property directly with the contact details provided in your confirmation. Children up to 3 years old are accommodated free of charge in existing beds or baby cot. Please inform Vassiliki Studios of your expected arrival time in advance. You can use the Special Requests box when booking, or contact the property directly using the contact details in your confirmation. Not a lot, maybe a couple of easy chairs would have been nice but for the price and location we really couldn't complain. We had a few things that needed to be repaired. The shower head had a crack in it and it sprayed all over the bathroom, the toilet seat was held on by one hook so it moved around, naked power wires hang out of the wall in the bathroom which doesn't mix with the water spraying out of the shower head (I'm not sure if the wires are live so it my not be a problem) the kitchenette was dirty had to clean the toaster to use it. It still had food in it from the previous users. The kitchen sink tap has a crack in it as well and it sprayed over the kitchen. The bed made so much notice when you moved that we put the mattress on the floor. But that only made you feel the hard floor. The location is very quite and the pool was the best thing about this property. It has great views from the deck and from the pool. Rattley windows and doors, small bed and weird smells in some places. Had a nice pool, wasn't too far from the town. The room facilities were a bit dated, particularly the shower and windows. Breakfast not a very viable option. Price was high for what was offered. Great view, peaceful location, swimming pool. The shower is not very comfortable. The owners did everything they could for us, including bringing us breakfast to the room when it was cold outside, and taking us to the doctor when our son was sick. They are always happy and it was a pleasure staying in their property. The location amazing, incredible view, the stuff very helpfull, totally worth it!